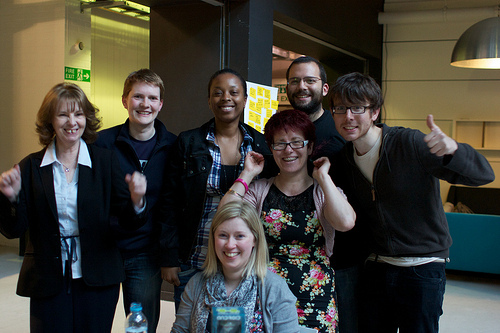 On 17-18 June 2011 seven people came together at a 2 day accessibility hack event to work on “Spotted” an android app directed at the older population. The team consisted of Lucy (Gransnet member), @sunfirejazz (Google Developer), @maccymacx, Joe, @francisclarke and the idea owners Denise from @EnabledBy and Alison from @PeskyPeople. The project was culmination of two ideas On the go and Accessify Place that were concerned with how a wide range of people experience difficulties accessing everyday goods, services & venues. The motivation for the app was centred around our aging population (2033 23% of the UK will be aged 65+ and 5% will be 85+ additionally there are currently 10 million disabled people and 5million are over 65+ and 40% of which have experienced access difficulties in the last 12 months*). Spotted provides a solution by allowing older people and people living with disabilities to share public examples of good/bad design/access of goods, services and venues through the use of photos and or text descriptions. These are then categorized as Love, Hate and Spotted and then sent to Enabled By Design (for products) and GoGenie (for services and venues). The idea also identified carers, friends and family of older people, people living with disabilities and people with an interest in inclusive design as secondary contributors. 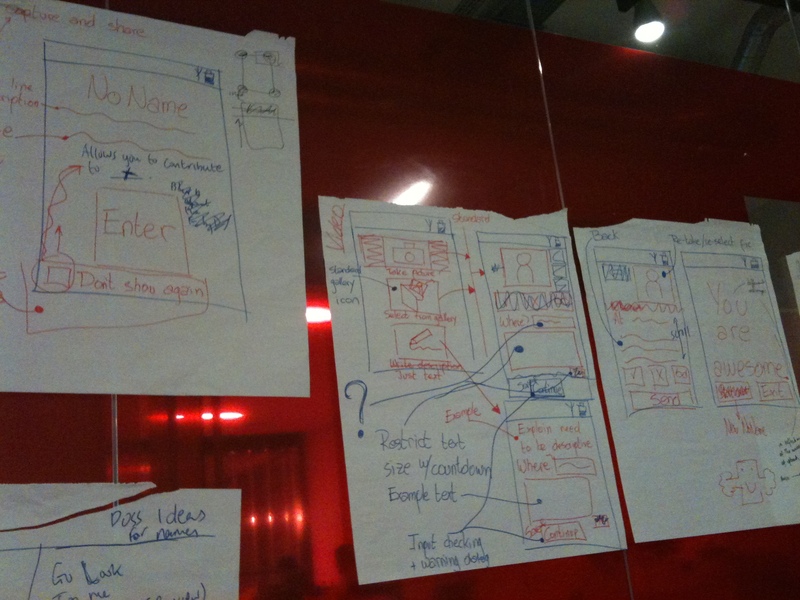 During the two-day hack the team produced a Proof of concept (photo above), Interactive Mockup (video above) and a working prototype (video below), all of which was tested by our GransNet member Lucy. *All stats offered was gathered by Denise from @EnabledBy.